Most businesses, in the early days especially, can benefit from debt. Debt is often what helps to turn an idea into a booming business when no other avenues are available to an entrepreneur. However, debt really can be dangerous to businesses, especially if they borrow too much or their business goes through a rough patch. 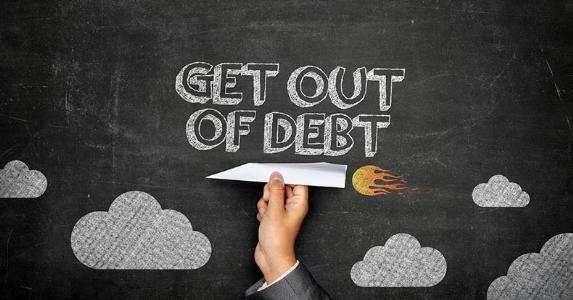 If your business is in debt, it isn’t always as simple or straightforward to pay it off as it is personal debt, but it can be easier too. Case in point being a business’ ability to raise more revenue - something that an individual struggling with debt can rarely do. So, as first line of attack against your debt, it makes sense to try and increase the funds available to you by running a few promotions, such as a flash sale or buy-one-get-one-half-price offer to bring more customers in. This can be particularly effective if you have a lot of excess stock, which is basically untapped money, sitting in your inventory. Most businesses have at least a handful of late or non-paying customers whose money could help to bring their bank balances back into equilibrium. If that applies to you, it’s time to get serious about chasing them up. Make phone calls send emails, and if that doesn’t work, consider pursuing them legally. You are entitled to payment for the goods and services you’ve supplied, and if getting it could mean the difference between bankruptcy and living to fight another day, it’s a no-brainer. Next, to sort your business’ financial struggles, you should make a real effort to cut out unnecessary expenses out of your budget completely, and minimize those you can (insurance, utilities, office supplies) using the savings to start paying off your debt with gusto. A lot of businesses, especially smaller ones, have very few assets right now, due to the increase in running businesses using the internet and cloud services. However, if you have any assets at all, which are not vital to the running of your business, it is certainly worth thinking about selling them off to help clear your debts. If they aren’t essential, it won’t inconvenience you too much, and you can always reinvest in them later on when you’re back on your feet. Once you’ve raised enough money to start paying off your debts, it’s important that you do so in the proper order. To ensure you don’t get into more trouble and to stretch your money as far as possible, you should always pay off the debts with the highest interest levels first, working your way down to the lower interest, and taking into account which debts are most critical. Being over your head in debt can be scary, but if you’re able to keep your head and go about doing the above methodically, you will be able to, if not get into the black, get back in control, and most importantly, keep your business going.